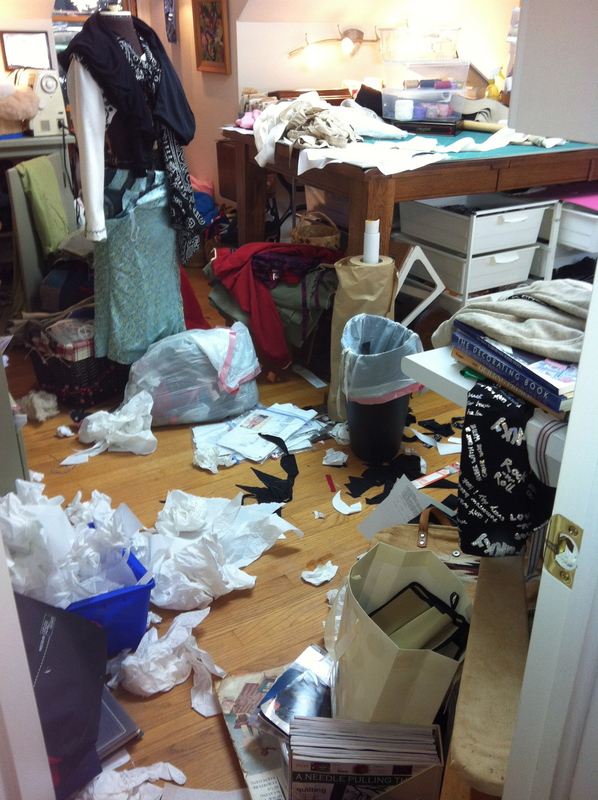 This is what my sewing room looks like tonight. I only have a few more seams before I’m ready for the big reveal! I can’t wait to see what everyone else came up with for the Frenchy’s Challenge. See you tomorrow night at the meeting, 7 pm at St Theresa’s Church on North St.